I’m really excited about this show and here’s why: I missed all four of Vanaprasta‘s residency shows at The Satellite in November. Missing the shows due to scheduling conflicts (on my side, of course) was a disappointment. I hate to miss a show – especially an outstanding show – and I certainly don’t want to miss FOUR shows. While missing Vanaprasta every Monday night was hard, it wasn’t nearly as devastating as waking up four Tuesdays in a row to Tweets, text messages, and reviews from some of my most-trusted music sources saying how amazing these shows were. One Rock Is A Girl’s Best Friend reader will win a pair of tickets to see Vanaprasta at Central SAPC in Santa Monica on Friday, December 16, 2011. In less than three years, Wilkin, bassist Taylor Brown, drummer Ben Smiley and guitarists Collin Desha and Cameron Dmytryk have circumnavigated the nebulous L.A. indie-rock universe, releasing an EP, teasing with a couple of singles and turning in enough neck-snapping live performances to give Angelenos whiplash from Silver Lake to the Sunset Strip. 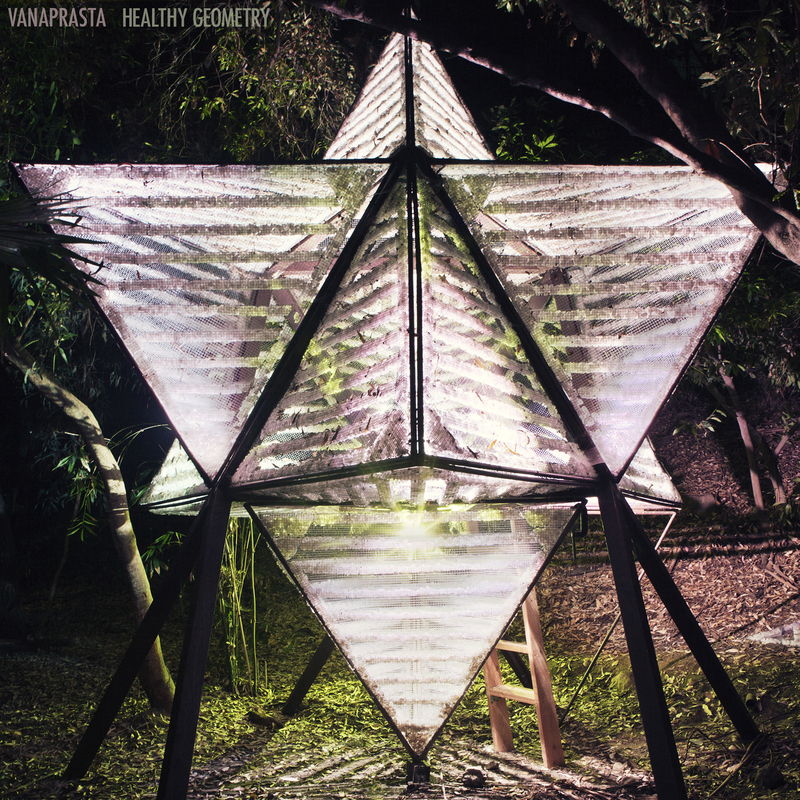 Finally, after three forays into the studio, Vanaprasta unveils Healthy Geometry (out Nov. 1, 2011), a forward-thinking, galactic-sounding debut that draws from the indie, experimental, psychedelic and R&B worlds to shape music that is at once visceral and visionary. 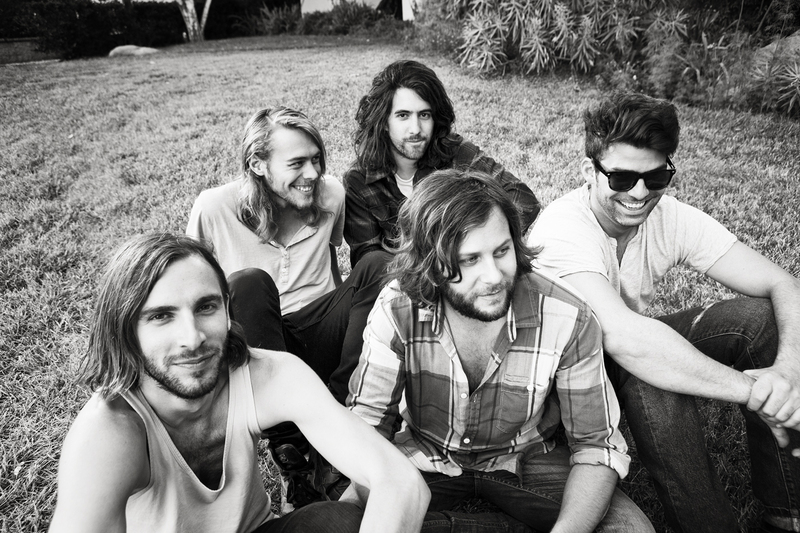 Critics have name-checked the Killers (LA Weekly), Kings of Leon (Consequence of Sound) and Mew (Buzz Bands LA), but Healthy Geometry‟s broad dynamic also finds antecedents in the work of Pink Floyd, Radiohead, Muse, Modest Mouse and Black Sabbath. And who is Vanaprasta? It is five technicians from divergent backgrounds (with equally broad tastes) who comingled in L.A.’s musical melting pot in 2008. From their first jam session, the mixing of molecules in the room generated an energy that was palpable, and end result of that night was, Vanaprasta. The key ingredients in the quintet’s stew are the colliding guitars of Dmytryk, a former punk-rock kid from Oregon, and Desha, a native Hawaiian with a foundation in slack key guitar, which wrestle atop powerful, shape-shifting rhythms from Brown and Smiley. Wilkin’s balletic tenor (he was a child opera singer in Utah) holds the mold together. from the Sanskrit word for a forest-dweller who has given up much of his worldly possessions) is fascinated with numerology, geometry and patterns, and what any or all them might mean in a world seemingly ruled by inefficacy and chaos. Healthy Geometry was produced and mixed by Dave Schiffman, who recorded the band using mostly live takes with minimal overdubbing. It was mastered by Howie Weinberg, who kudoed the band on what he heard. “Working with Dave was super smooth,” Wilkin says. “He came out and saw us live, and basically we let him run with his interpretation of our live show. Healthy Geometry, which can‟t be categorized into any particular genre but stands on its own as a complete body of work, encapsulates all the different moving parts and ingredients that make up Vanaprasta. For more info about this show or Central SAPC click here. This entry was posted in Ticket Giveaways, Tickets and tagged Ben Smiley, Cameron Dmytryk, Collin Desha, concert, giveaway, live music, music, Steven Wilkin, Taylor Brown, ticket giveaway, Tickets, Vanaprasta, win. The two most frequently asked questions I receive are “Will you review my album?” and “Do you sleep?” The answer to both is most often the same: “No”. The reasons I don’t review recorded music are many. I’m aware that, no matter how I feel about a specific selection of music, the people involved in making it worked really hard on it. They put everything into it, thought about it (possibly too much), lived it, became it, created it, and then got the balls to put it out there. That’s not something I want to filter through my own subjective perception and re-articulate, in written language, to others who will then interpret my words through their subjective filters and in any way, shape, or form “define” or categorize the art of music. Depending on how any person feels at any given moment, their relationship to a song or album can evolve. We listen to a song incessantly, it reminds us of the greatest relationship we’ve ever had. We break up, we put the song away, it’s too painful. A couple years later, we hear the song again, less painful, we still like it. We hadn’t put that song “in the cloud” yet, but we do now because we feel what we connected to in the first place: the emotion. That didn’t go away when our relationship dissolved. Music can endure and evolve, as we connect with it individually and collectively, over time. I appreciate the freedom that provides – a song or album’s meaning to each person can be drastically different, dynamic throughout time. Sometimes we select a song because we “need a pick-me up” or we want to create a mood in a room. I may not connect with an album on first listen and years later may discover something I missed or have an experience that allows me to connect with and appreciate it differently. This isn’t “right” or “wrong” or the way it “should” or “shouldn’t” be. It’s just how I feel. I can write about live music because it’s overtly contextualized in a unique moment – “This is what it feels like right now.” At that moment, what we’re experiencing intersects with the music being created in front of us at that same exact time and it won’t ever happen exactly like that again. Even if it is the same set list, touring on the same album, with the same visuals and sets, the show is not the same. I can go to an artist’s residency and write a vastly different review each of the 4 weeks they play. So that’s one reason I don’t typically write about recorded music. There are many. 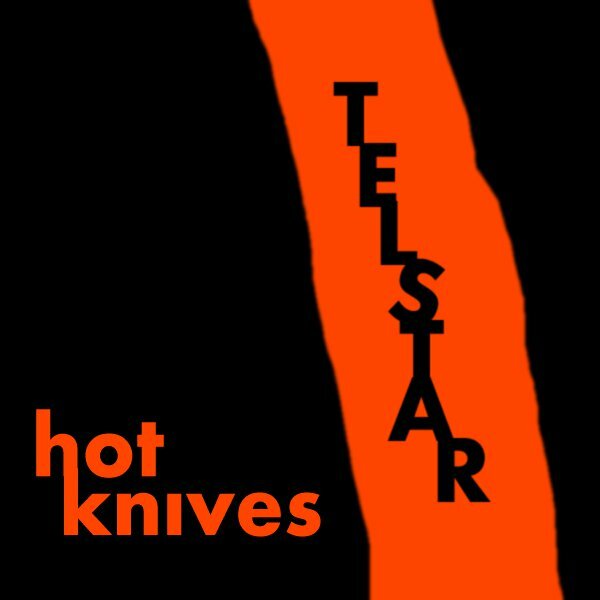 Yet, as I was driving to a show last night, listening to Telstar‘s album, Hot Knives I had the first bit of anxiety I’ve felt in years. . . about anything. I had “Are You Hungry” on repeat, listening to all the various attributes and elements that make that song “work” so well; discovering and appreciating something new on each listen. I was smiling as I experienced the way all the sounds “get along.” I could write 10 paragraphs about one 28-second portion of “Are You Hungry” and another 10 about what it feels like the next time that 28-second bit of music comes in. Then, it would only be fair to express how that piece of music “sits” with the other pieces of the song. Is it the portion that elevates the rest? Or do the 57 seconds that directly precede it create the perfect moment for that piece to come in, and the foundation for it to stand on? I can’t separate it. I love the way it all works together and that my appreciation for it grows deeper each time I hear it. The background vocals kick in at all the “right” moments and they’re additive to the feeling of the song, not just placed there because that’s “what you do”. 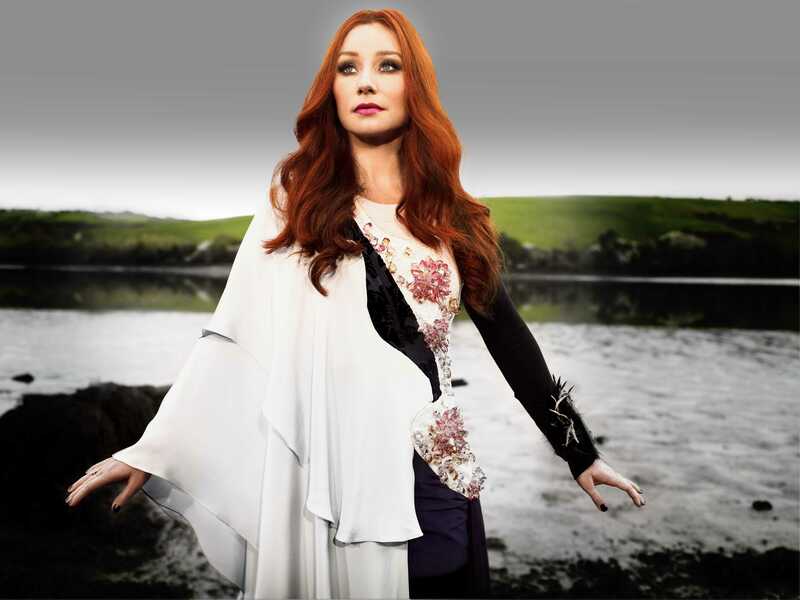 At the same time, with every element of the song, in perfect dynamic relationship with the others – none of it feels contrived. It’s organic. It’s precise, but it almost feels like an accident. 3 friends got together in a room, decided to have some fun and remembered to hit “record”. Yet another reason I don’t typically write about recorded music – I’m not sure I want to be so “academic” about art. I’m in love with a song. I like how it sounds and how it makes me feel. That’s what it comes down to. The “anxiety” I mentioned? Much like that relationship that’s going so well – you finally found your “soulmate,” it gets better every day, you appreciate every second of it. . . what if something gets in the way of it? There are a lot of things that can “get in the way” of music – it’s not easy to create it, get the right mix of people working on it, put it out, get it out, make sure people know it’s out. I don’t worry about those things with Telstar though. As long as they’re doing whatever it is they’re doing to create what they’re creating – live and recorded – having as much fun as they do, while also simply being genuinely kind people. . . I don’t foresee any of the “usual” things “getting in their way”. So, what could get in the way of Telstar? The best possible thing: the fact that the individual musicians who make up Telstar, Chris Unck, Eva Gardner, and Stew Heyduk, are the musicians everyone else wants in their band. At any moment, any one of them could be offered a substantial tour as they have been previously. . . and then what? My look: “Yes, I see. I know. It’s happening. . . and I love it.” And perhaps, even my real question was communicated: “But are you going to let anything get in your way?” Which is why no words are necessary. It doesn’t matter what happens. Like a great relationship, like music, like the best things about life: it’s all an ever-evolving adventure. If you don’t get too attached to one thing or one idea of something, then you allow the freedom to experience a potential that continues to be created and evolve throughout time. Ultimately – especially if you have the opportunity to connect with Telstar as I have – you’ll want for them whatever they want for themselves, as that evolves throughout time. Telstar has a way – whether through song, performance, or an unspoken conversation – of reminding you to enjoy this very moment, right now. The next spoken conversation between Eva and I was about the high winds wreaking havoc in LA that night – power outages, downed trees, street closures, and all the things that remind us: you can have a plan. . . and then there’s the adventure. Part of what makes Telstar Telstar is that they are just doing what they do. They’re great musicians, who enjoy each other and playing music. 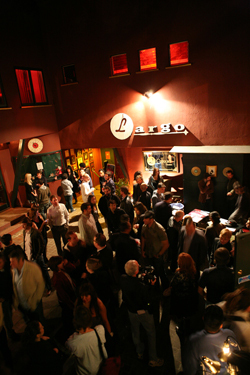 They like to see people have a good time, they enjoy providing the space and creating the atmosphere for that to happen. Chris’s eyes were wide with enthusiasm as he described how Telstar would be spending the next few months. “Playing shows” sounds like something as fun and exciting as winning The Olympics. “Writing new songs and recording” sounds like hanging out with your best friends in the desert, opening a bottle of whiskey, laughing, reminiscing about old-times while dreaming about the future. None of it sounds like “work”. Conversations with many musicians sound and feel vastly different from conversations, like those described above, with the members of Telstar. “Playing shows” sounds exhausting. Hanging out after the show is something they “have to do”. “Writing and recording” requires seclusion; adopting a raw, vegan regimen or some other short-term support system; and being laser-focused. It’s work. It’s serious. It’s hard. That’s all valid, true, and real. But that’s not the feeling I get from Telstar during their shows, casually speaking after the show, nor through their music. In fact, part of the reason Telstar inspires me so much is because they represent something I feel very strongly about in life: do what brings you the most joy. Have as much fun as possible. That is my definition of “success” and I’ve witnessed it translate into others’ definition of “success” because people are attracted to it. Musically, Telstar creates something unique that is experienced on multiple levels. I think it’s fair to say a lot of bands have tried to recreate the sound of The British Invasion. It may even be fair to say some have reasonably accomplished that. 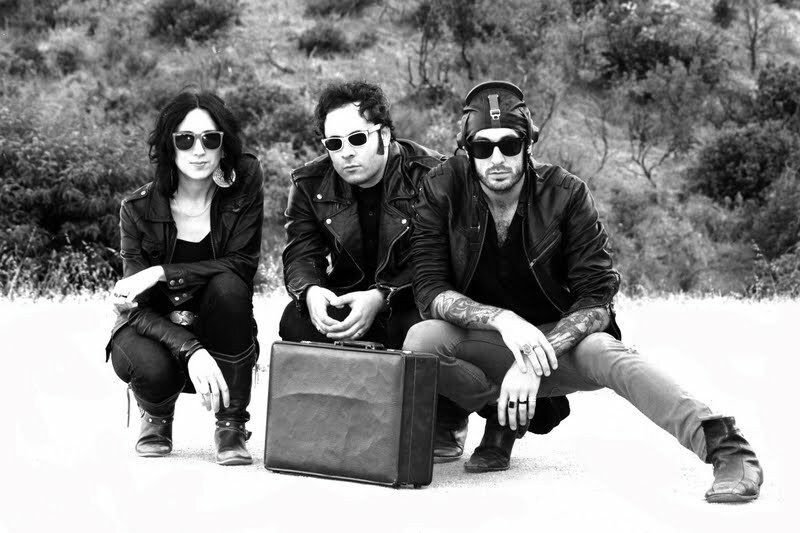 Telstar creates the feeling of The British Invasion through their sound. There’s a big difference. And now, we’re full-circle back to the reasons I don’t like to write specifically about music. Should you choose to, I’d like you to have your own relationship with Telstar. Maybe you know the historical significance of their name and that gets you to listen to them for the first time. Maybe you read something about them, you go see them live, then you investigate further and get into details such as their name and the ever-present influence of Eva’s father. As with all great things in life, and all enduring music, there are an infinite number of elements and layers to be discovered. Discovering Telstar continues to be an adventure for me and I’d like you to have your own experience, your own adventure. Another reason I typically don’t like to write about recorded music is because I don’t like reading about it either. There’s a tendency toward negativity surrounding music, maybe more so now than previously. People are complaining about the music they’re exposed to. I hear you. I understand where you’re coming from. But then – stop listening to what everyone else says you should listen to. Stop listening to what you think you “should” listen to. Don’t let this age of everything-at-our-fingertips-for-free get in the way of the joy of discovering music. Rediscover what moves you. This entry was posted in Telstar and tagged British Invasion, Chris Unck, Eva Gardner, hot knives, live music, music, Stew Heyduk, Telstar.